This week we consider the second name the Church uses to summarize the Biblical teaching on Mary: Mother of God. Notice that the first name, Holy Mary, describes her in herself (Mary is holy), while the second names her function in relation to Jesus (Mother of God). This continues the pattern from the Scriptural part of the prayer: she is full of grace (in herself) and the Lord is with her (in relation); she is blessed among women (in herself) and the fruit of her womb is blessed (she is in relation). It is important to appreciate that Mary’s holiness is based on her relationship with Jesus, her function. On the one hand, the God of the Bible equips people for their tasks. If Jesus was going to be “obedient” to someone (as Luke 2:51 says he was obedient to her and Joseph), then it ought to be someone holy. We could call that the “functional,” part of Mary’s job. On the other hand, holiness flows from closeness to Jesus: she is holy because she is the one closest to him. But we should realize, too, that the Church claims no necessary link. It is not that Jesus would be impossible without a holy mother; in fact, Jesus did not need a mother at all. But we believe he chose to have a mother, and he chose to make her holy. It makes sense; it is beautiful; but good Catholic theology does not impose necessity on God: he didn’t have to do it. Holy Mary and Mother of God assert two choices we believe God made: related, but not necessary. The title Mother of God comes from the very earliest prayers of the Church. Sub tuum praesidium, “We fly to thy patronage,” is a hymn from around the year 250, written in Egyptian and quickly spread to the Greek and Roman worlds. It reflects the piety of the early Church, and it calls Mary Mother of God, Theotokos in Greek, Dei genetrix in Latin. The title became more important at the Council of Ephesus, the third great Council of the Church, in 431. In short, the bishop Nestorius had a hard time handling the various doctrines about Jesus. On the one hand, he is truly man. On the other, he is truly God. Some heresies try to diminish one or the other. Nestorius tried to work it out by sort of separating the two. Among other things, he said we should stop calling Mary “Mother of God.” We can call her “mother of Jesus” and “mother of the humanity” . . . but mother of God? What could that mean? The bishops at the Council of Ephesus responded that, though it is hard to fathom what Mother of God could possibly mean, you cannot deny that it is true. To deny that Mary is Mother of God is to slip in one way or another. Either you say that Jesus her Son isn’t really God; or you say that he isn’t truly human, not truly her son – or, like Nestorius, you say that there’s kind of two Jesus’s, a God Jesus and a man Jesus, that aren’t the same guy. “Mother of God” is a title that says more about Jesus than about Mary. No, we cannot imagine what it means. 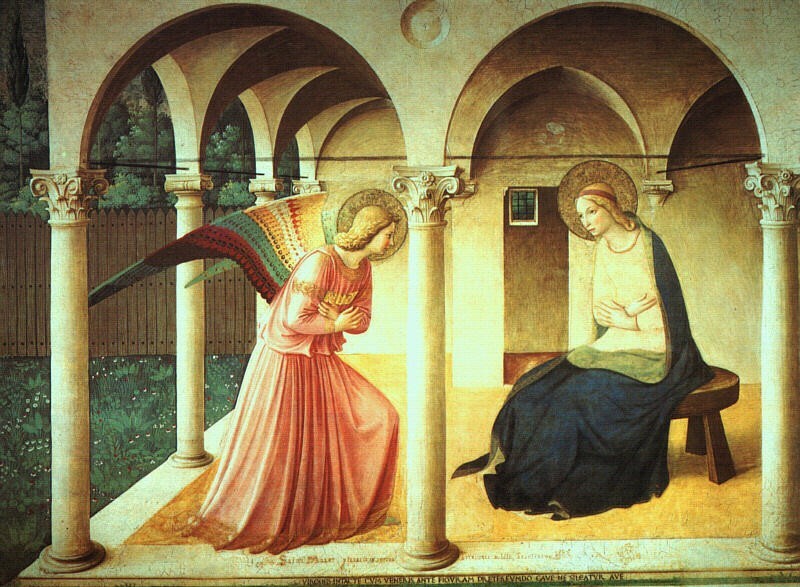 But more deeply what it points to is that we can’t really imagine what the Incarnation means. The Church has, especially since 431, asked us to bang our heads against this phrase precisely so that we can appreciate just what a radical claim Christianity makes about Jesus. He is so God-and-man-in-one that, despite our best common sense, we are compelled to call Mary “Mother of God.” Think about that! Now that is God-with-us! On the other hand, Mother of God is also a fabulous introduction to “pray for us sinners.” In a way, the absurdity of the title also points out the absurdity – but truth – of intercessory prayer. We can ask God for things! That really doesn’t make sense. But he has put himself in our hands. Not, of course, in the sense that we can ask him for what is wrong. Always it is “thy wil be done” – or, in Mary’s words at the Annunciation, “be it done to me according to thy word,” or at the wedding feast at Cana, just telling him what we need, and saying “do whatever he tells you.” Mary models humility. But she also models the power of real prayer, and the heart of intercessory prayer, which is in closeness to Jesus, and in the condescension of Jesus in making himself subject to us. How do you experience the reality of God’s presence to us in Jesus? Do you believe he hears our prayers?